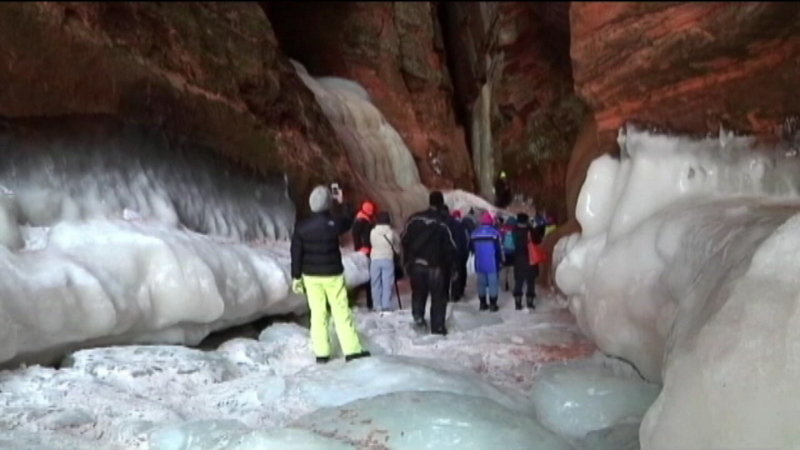 Thousands of people made their way to northern Wisconsin to visit the ice caves in Bayfield. BAYFIELD, Wisc. (WLS) -- Thousands of people made their way to northern Wisconsin to visit the ice caves in Bayfield. The United States Park Service opened the ice caves of the Apostle Islands Sunday for the first time in five years. The heavy snow and ice this winter made it hard to reach the area so park rangers had to drill through 13 inches of ice to open the caves.